Israeli teen arrested over JCC bomb threats wanted for years by Israeli police, allegedly assaulted female officer during arrest. A 19-year old man with dual US-Israeli citizenship was arrested for allegedly making a series of threats to Jewish institutions in the US and Europe. The suspect has a long record of criminal behavior, authorities in Israel said Thursday. The man, whose identity has not yet been released for publication, was suspected by police of involvement in a string of similar threats targeting institutions in Israel going back two and a half years. 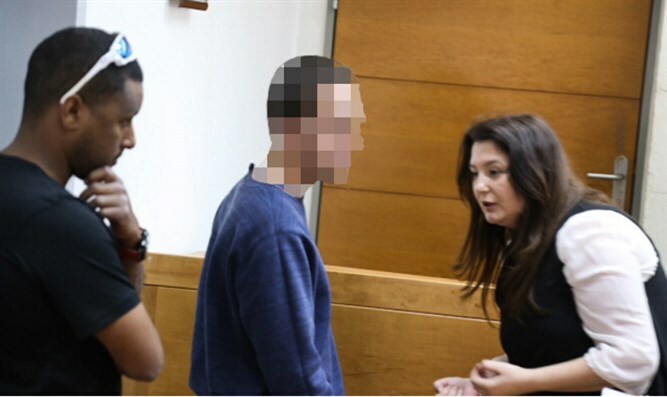 A district court in Rishon Letzion extended the suspect’s arrested by one week at a hearing Thursday afternoon. During his arrest, the suspect reportedly assaulted a female officer and attempted to steal her firearm. Police say the teenager, a resident of the southern city of Ashkelon, is believed to have made hundreds of threats against community centers around the world, including in Israel, over the past two and a half years. If the suspect is found to be the perpetrator of the recent rash of bomb threats at American Jewish Community Centers, much of the fear of a rise in US anti-Semitism will recede. The suspect was reportedly turned down by the IDF, which ruled him unfit for the military service. According to his attorney, the suspect suffers from “severe medical problems”, which may affect his mental state. "Therefore, we asked the court to order that the young man be referred for a medical examination. The court accepted our claims and instructed the police to examine the young man's medical condition."